Although studying overseas sounds like fun, sometimes it is frustrating. We have to face a new environment, new cultures, and new foods. 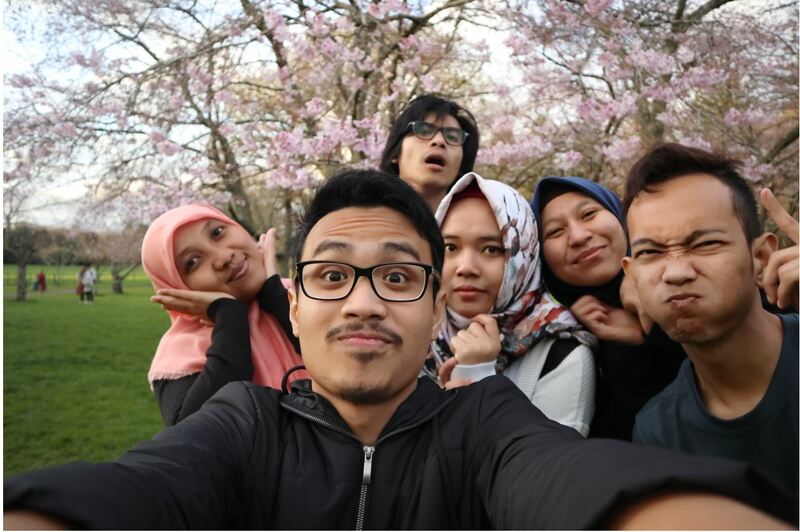 In this article, contributor Raka Friestyan shares some useful tips when studying and living in Auckland, New Zealand. Let’s check it out! Study abroad is a dream I thought would never happen. Indeed, I was so excited when I got a chance to continue my master’s degree in Auckland, New Zealand but it turned out that my excitement didn’t last long, apart from the tough courses, I found the living cost was more expensive than my calculation before I departed. I was so extravagant during my first days, and it made me broke in a minute! I even wondered ‘can I survive here till the end of my study?’ Lol. However, after some field-research, I finally found some effective ways to cope with my study and living cost in Auckland. That’s why I would like to share some tips to survive in pricey Auckland. The major I studied does not consist of exams. It’s merely assignments-based (essay and small-scale research). Many other majors have either, or both exams and assignments! Based on what I had experienced, the courses and assignments here are tough, especially in terms of the tight deadlines and lengths. All courses have close due dates and some even worse; they have the same due dates! So, it would be such a disastrous thing if you don’t manage your time efficiently. I suggest you start your essay as early as possible because usually, the lecturers will give you the outlines containing the information and details about the courses they are teaching. So, you could ‘steal’ the start using the outlines. It will help, trust me; you don’t want to spend your weekends and semester break with loads of assignments haunting your mind, do you? You may find accommodation that suits you best on ‘Trademe’ as it has got so many listings with various prices. Either you are looking for shared accommodation (starts from approximately $250) in a house/flat, or a private accommodation like a studio (starts from $320). Of course, the rent price in Auckland CBD is higher than in the suburbs. The benefit of living in Auckland CBD is you don’t need to commute by bus but to walk instead. But there are also some campuses outside the CBD area, so it depends on your condition. Please bear in mind that it takes time to move-in to your preferred accommodation. I spent a week in a shared house I found on Airbnb. The reason is that you need to attend the open viewings and if you are interested in that property, you need to fill in the form afterwards (the wait will not end just there as this is the most ‘tense’ part). The property owner or agent will choose a lucky applicant; thus it is a must for you to have many properties in your ‘wishlist’ and more importantly, to have an affordable temporary stay during your quest. I suggest you look for it through Airbnb, but it will be better if you have a friend staying in Auckland already (you might stay for free, haha). 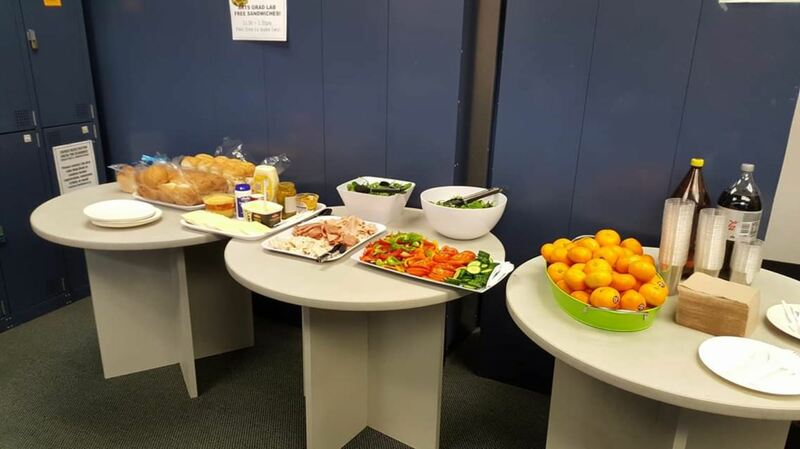 Free foods and beverages at The University of Auckland’s Graduate lab (Faculty of Arts). Students’ money saver! There are many electricity companies offer their services in New Zealand, but my recommendation goes to….. Electric Kiwi! They have a quite cheap rate, and they also provide ‘hour of power’ programme where you can have an hour of FREE electricity! It applies in the off-peak period (9am-5pm and 9pm-7pm). You can choose and adjust your preferred time easily on their mobile app. They guarantee you to save $200 on your first year. I used to pay around $80 per month, but since I switched to electric kiwi, I only spent about $63 a month. For your affordable internet data plan and broadband, I recommend Skinny. They offer various mobile plans that start from $9 and unlimited fibre broadband for $73 a month. Well, ‘PaknSave’ is always the best supermarket to get your needs at the best price! I oblige you to bring your shopping trolley (I usually brought my suitcase) because it’s a bargain and you need to buy many! If you are a Muslim, you can also easily find halal meat products here, and they separate them with non-halal meat. The best news is, they are usually discounted too :D. The only barrier is ‘PaknSave’ supermarkets only located outside the CBD. So, you need to travel on a bus for some distance. If you are looking for halal meat but prefer supermarkets in the city centre, you can buy ‘Turk’s’ products as they are halal according to their websites. Well, I am not the kind of person who loves to hang out a lot. I would rather spend my weekend recreating at some parks in Auckland or exploring the city by walking and sometimes cycling. It is a lot better to refresh my mind after bustling with my assignments. I had ever been to a cinema in Queen Street, Auckland CBD, but I can say that it was below my expectation. Cinemas in Indonesia are a lot better, bigger and well-maintained (a lot cheaper too :D). The ticket price is $19.50 on wed-mon and $20.00 after 5 pm on Friday/Saturday, quite pricey. 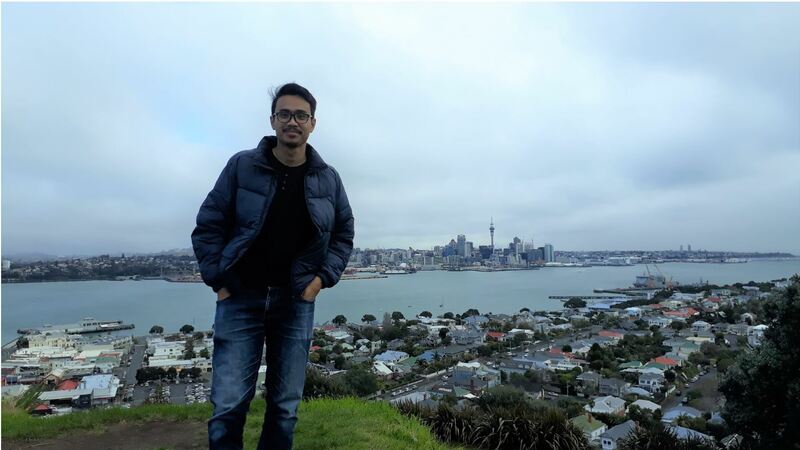 Raka Friestyan, or usually called Raka, is an awardee of Indonesia Endowment Fund for Education to study Master of TESOL at the University of Auckland and graduated in 2019. He is a teacher at one of the private schools in Depok, West Java. He has a plan to establish an international language course to support the local people’s language skill as a real contribution in return.